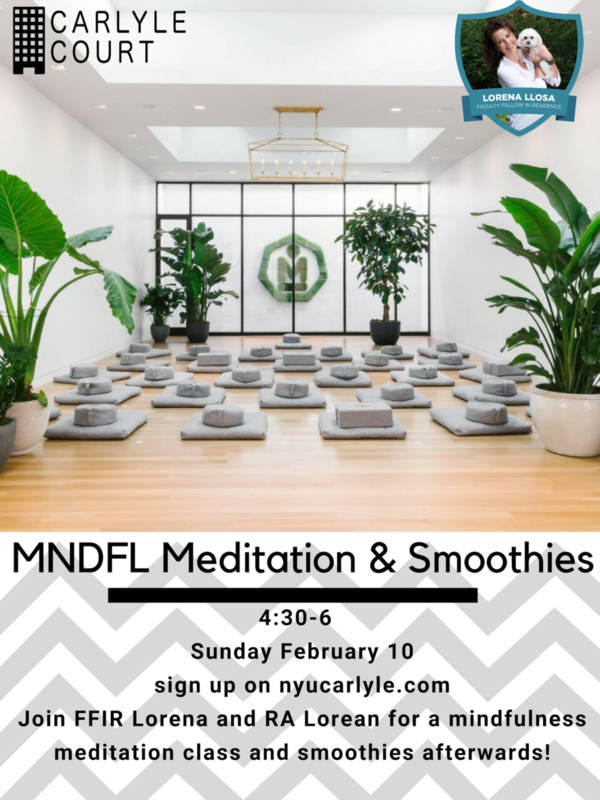 Join FFIR Lorena and RA Lorean for a 30-minute mindfulness meditation class at MNDFL Greenwich Village. The focus of this class is Intention, where we discover how to live more consciously and develop a intention specific to you. There will also be smoothies after class!